A 5,100 sq. ft. fellowship hall and kitchen completes phase two of this master planned facility. This 13,080 sq. ft., church incorporates themes of nature and light. 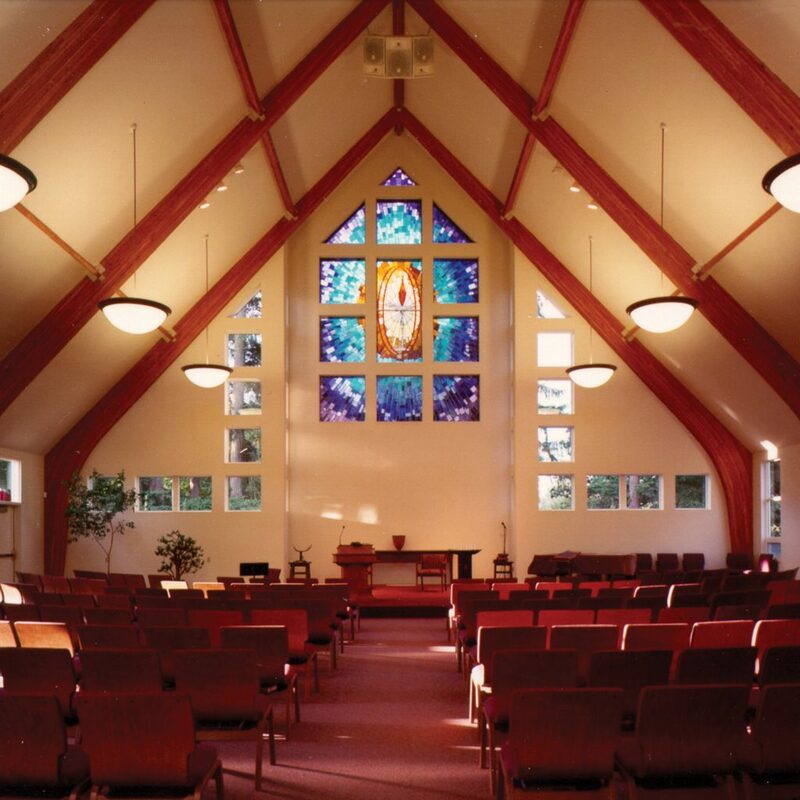 The sanctuary holds gatherings of up to 250 people. Windows opening up to views of the woods beyond, provide the sanctuary with a natural backdrop. The original project consisted of a new 3,000 sq. ft. sanctuary with a seating capacity of 250, and 5,500 sq. ft. of office and classroom space. 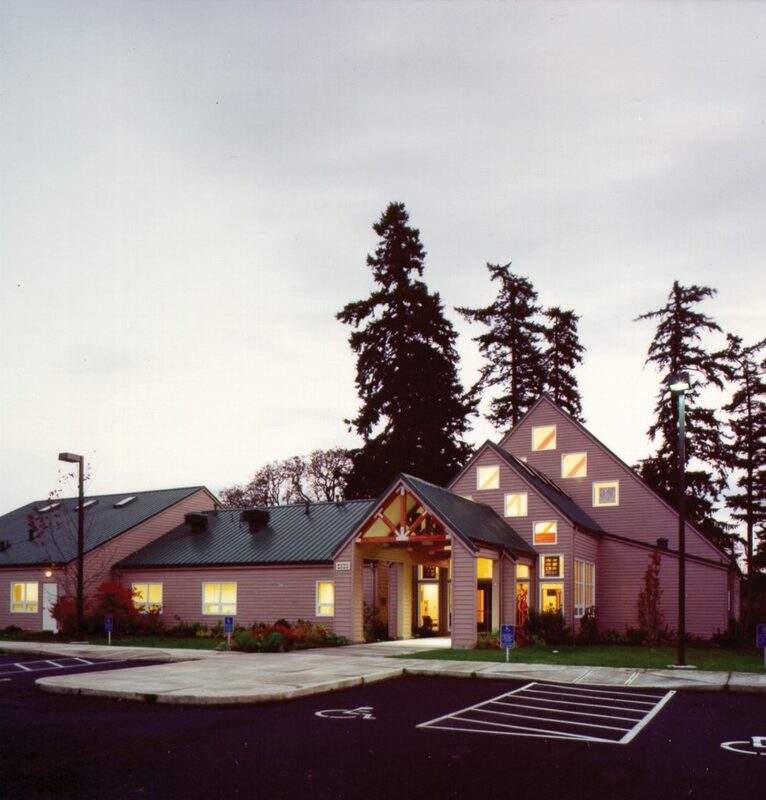 The three-acre site was developed and master planned to accommodate future sanctuary and classroom expansion, and addition of the fellowship hall. The building was sited to minimize the removal of existing fir and oak trees and to provide maximum amount of protection for the new building. Sustainable design elements such as a recycling program for site preparation and construction waste, native and drought resistant landscaping, recyclable or recycled materials, natural and low-toxicity finish materials, high efficiency lighting systems, and daylighting were used throughout.